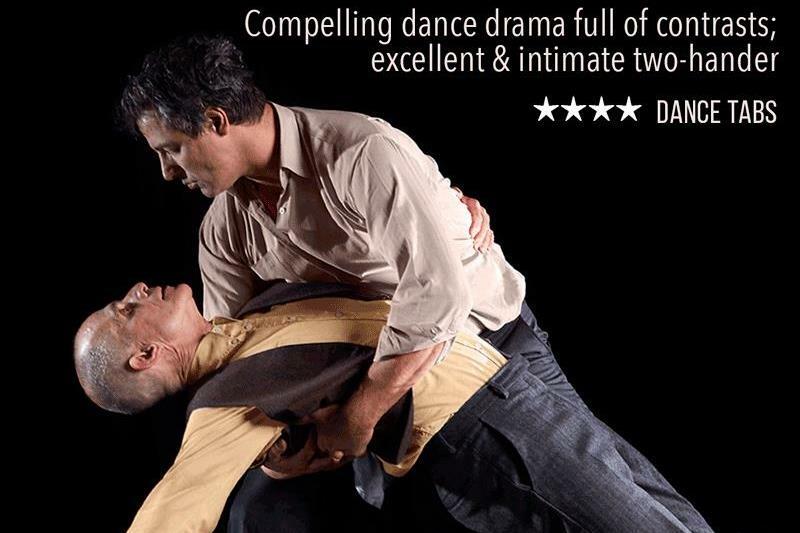 They Live Next Door is a highly physical dance theatre show that takes its audience on an emotional rollercoaster as a relationship between two men unravels. Witness their ever-changing bond through heart-warming moments of love and tenderness, contrasted with bouts of conflict and manipulation. This turbulent, touching and tender show combines intricate choreography with emotive theatre, to cast light on our fascinations and preconceptions of others. In a world where people are fixated with instant communication, social media and reality TV, They Live Next Door is a refreshingly unhurried voyeuristic view into a private life of two people, who may live next door to us.